Gender is once again on the World Economic Forum's agenda. At this year's Annual Meeting, a series of sessions will focus on the desirability of advancing the rights and economic power of women and girls around the world, and of continuing to close the gender gap in Western C-suites, boardrooms, parliaments and presidencies. These discussions will build on the Global Gender Gap Report 2013, published last November. Although many countries, including developed countries, still have far to go, the proportion of women CEOs of Fortune 500 companies is inching upwards. Indeed, the appointment of Mary Barra, the first woman CEO of General Motors, gives new meaning to the old American line: "What's good for GM is good for the country." The part of the story that does not get told, however, is that behind almost every female CEO mother is a man who is a primary caregiver. Reports, panel discussions and media reports still focus overwhelmingly on measuring the participation of women in what has traditionally been the world of men. But it is equally important to measure the participation of men in what has traditionally been the world of women. At the World Economic Forum Annual Meeting 2008, Bill Gates told the audience that in his view: "there are two great forces of human nature: self-interest and caring for others." Let us take him at his word and conduct an experiment in which we assume that both forces are equally distributed among men and women. Assume that ambition and competition -- the hallmarks of self-interest -- motivate women just as much as they motivate men, at least in an ideal world in which women have not been socialized to deny those urges. In many developed countries, after all, women are now outpacing men in educational attainment and starting salaries. Don't think about where women finish up at the end of their careers, but where they say they want to be when they are young and relatively unconstrained by life's unexpected twists and turns. Now make the more radical assumption, at least for 21st century humans in most countries in the world, that the desire to care for others is equally distributed between men and women. Assume that if men were completely free to choose how to spend their time, they would want to share their children's lives and be engaged with their parents, spouses, siblings and other loved ones to the same extent that women do. We don't observe that desire on the part of many men today, in the same way that we didn't used to see the competitive side of women. Men are still socialized to groom their competitive instincts and suppress their caring sides. But it's time to change the way we socialize our sons and choose our mates. Caregiver men are essential to the advance of competitor women. No matter how much all of us "lean in" - a sentiment that I heartily endorse under the right circumstances - it remains true that only a relatively small number of wealthy and fortunate individuals can manage simultaneously to juggle an all-out, no compromise career with family caregiving responsibilities. Many very ambitious women still find themselves shut out by workplaces that make it impossible to fit their work and home lives together or to re-enter the workplace on a serious professional track after they have taken time off or chosen to work part-time for a while. As any man will attest, it is far, far easier to be at the top of a major organization if you have a primary or full-time caregiver at home. That means, for every aspiring woman CEO, her chances of getting there will be considerably increased if her husband is primary caregiver. So if societies really want to make room for women in the C-suite or the precincts of presidents and prime ministers, they're going to have to make much more room for men at home, at least for a chunk of their careers. A recent New York Times article on working "Wall Street mothers" and caregiver husbands noted the steady rise since 1980 of women in finance with stay-at-home spouses. The women who have made it to the top of what is still a completely male-dominated industry are quite clear about the link "between their ability to achieve and their husbands' willingness to handle domestic duties." An easy way to make this point would be to conduct a poll of all Annual Meeting participants in Davos who have children or other family members for whom they assume caregiving responsibilities and ask them how many have a life partner who is either home full time or works outside the house but is the primary caregiver. If the numbers are, say, 80% or higher, then future Forum gender equality polls should assume that women will only achieve parity with breadwinning men when men achieve parity with caregiving women. Given the way our species works, however, men are only going to want to become caregivers, for at least part of the time, when caregiving is accorded the same prestige and social value as breadwinning. When "Dad" is valued as much for the love and care he provides his family as "Mom" is valued for her success in the workplace and the resulting income she brings in. Better yet, when all human beings are valued equally for both sides of their nature, allowing men and women to decide to be both breadwinners and caregivers in any proportion they choose based on either their desires or circumstances. My husband, who is a professor, allows me to have the career I have by being more available to our children than I am. He supports me just as much as my father supported my mother by earning the family income. And in the world of the professoriate, his caregiving is at least praised, if not materially rewarded. That may seem like an impossible dream in the alpha-male stomping grounds of Davos. But in several of the countries at the top of the Gender Gap Report, men have two or more months of paternity leave allotted to them that cannot be transferred to their wives; they either use those two months or they lose them. The result, as a former Norwegian foreign minister told me, is that companies are beginning to question the character and values of a male employee who does not take his paternity leave. What kind of a man would not choose to be with and care for his son or daughter? And, I would add, what kind of man would not choose to be with his father, mother, wife, partner or any other beloved family member at a time of special joy or need? The World Economic Forum has had an important impact in the business world and in development circles by helping to highlight the importance of including and advancing women and girls. But alongside efforts to expand the opportunities for women and urge them to take those opportunities, it is time to focus on the ways society shapes and values male behaviour. We should allow and encourage men to care just as much as we allow and encourage women to compete. 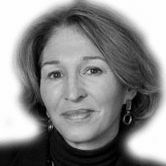 Anne-Marie Slaughter is president and chief executive officer of the New American Foundation and is participating in the World Economic Forum's Annual Meeting 2014. Cross-posted from the World Economic Forum.